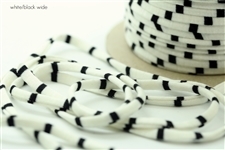 The perfect jersey spaghetti cord is finally here for all your DIY jewelry crafts! We took the softest jersey yarn and sewed it into a cord so there's no raw side edges. 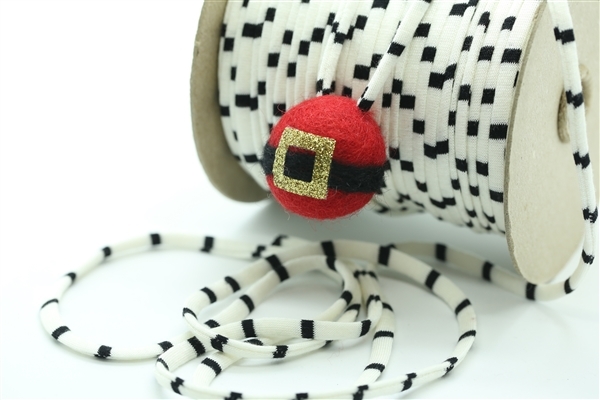 They pair well with our felted shapes and felt balls to make an adorable necklace for your little one. Since the jersey yarns are sewn, expect to find a seam in your cord similar to the seams found in our bias binding. This is simply how the yarn is connected to make a continuous cord. Note: You will need an awl and a large industrial needle if you want to fit the jersey yarn through our felted shapes/balls as shown in the last photo. ALL SALES ARE FINAL on this product. Before purchasing, please review our shop policy, terms, and conditions. ❉ © 2019 The Felt Pod . All images are copyright protected by The Felt Pod. Do not use our images without written consent from The Felt Pod.